You're working for a great cause, and now the time has come to collect support for it. One of the most effective ways to fund your organization is through letter writing for raising money. You can reach out to previous givers or encourage new people to start donating through a fundraising letter. Keep reading now, and learn how to write a successful fundraising letter, through tips and a template. 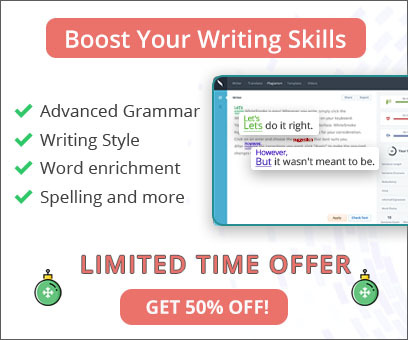 Once you have written your fundraising letter, proofread with WhiteSmoke, the best online writing software for a professional finished product that is sure to bring you success. Before you seek funds with your letter for raising them, it is important to remember some key points. First of all, know that when people read letters, a few things are likely to be happening in their minds. One thing is probably that the readers are switching between asking two questions: 'so what?' and 'now what?'. You want your readers to answer these questions in a way that helps you, so include information that they will feel is important (so what) and will urge them to take action (now what). Another thing that might be happening is that your readers are focusing their attention elsewhere. People have short attention spans, especially when it comes to written word. To keep your readers' interest, write short paragraphs of only a few lines each, and put the most important information in the beginning and end of your letter - the parts most people will read. Thirdly, remember that people love to read about themselves. This means that throughout your letter, you should refer to your readers two to four times as often as you refer to your organization. Reach out to potential new givers by talking about how they might have read some statistic related to your work, or how they might agree with some idea. Remind people who've already donated of how they helped you, and stress how much you depend on their support. After you consider these tips, think about what else you will include in your fundraising letter. For instance, start with a story in the opening paragraph that recounts a success of your organization, that connects the writer to a story, or that connects the reader to a story. In the paragraphs that follow, include more details about your organization and the work you do, and then conclude with details about how the reader can help. Suggest specific amounts of money, even broken down into manageable monthly payments, with the option to give as much as is comfortable. Finally, close with a P.S. that creates a sense of urgency or that ties back to the letter and creates more interest in it. Here, take a look at a template for a fundraising letter, and then see how to finish writing the most effective fundraising letter with WhiteSmoke writing software. Every year [name of organization] continues to advance the cause of [cause]. Many people have seen improvements in their lives through our programs. Fortunately, we at [name of organization] were there in time to help [name]. Now [s/he] is [status]. Advances are being made in [cause] every day, and organizations like ours continue to help. So people like [name listed above] and all others affected by [cause] have reason to hope. However, continued [research/outreach/work] is essential to help the over [number] of people are effected by [cause] each year. You can make a difference in the life of [child/etc.] today. Each [$ amount] you send provides [type of help] to [number of people]. I hope we can count on you to help. Please send the most generous gift you can, as soon as possible. P.S. So that as many [children/etc.] can be helped this [season], please send your gift in the enclosed envelope by [date] so that it can have maximum impact. Thank you in advance for your kind support! Now that you have read the example and completed your request for funds by writing a letter for raising money, edit thoroughly with the all-in-one writing tool. 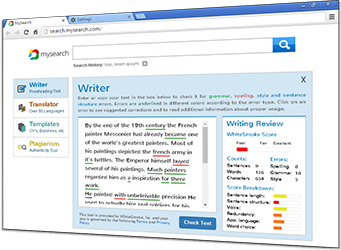 WhiteSmoke online software offers you one-click access to a spelling check, English grammar check, ever-improving punctuation check, and unique enrichment feature. With WhiteSmoke's patented NLP technology, online dictionary and thesaurus, you will enhance your fundraising letter, whether it's for a campaign for a church, adoption, politics or school, with context-based synonyms, adjectives, and adverbs. Get instant results for thorough proofreading with WhiteSmoke, and send the best fundraising letter ever.